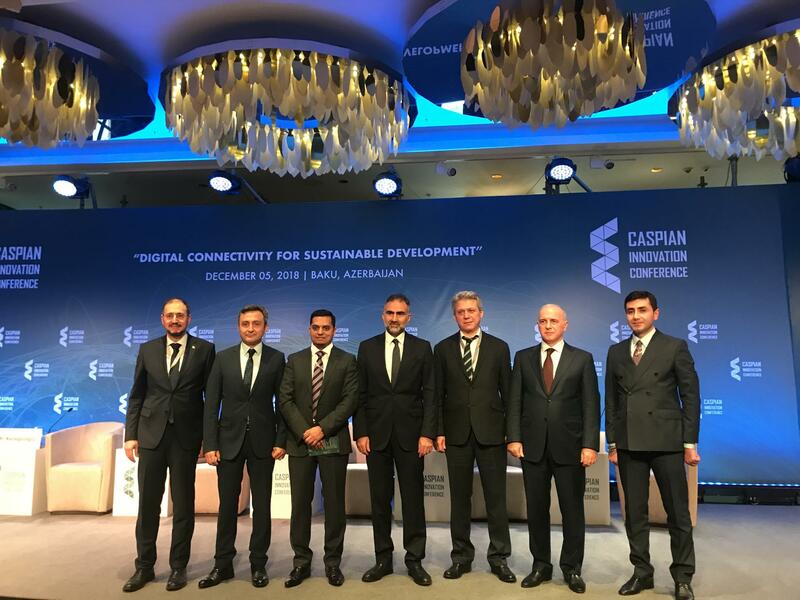 The CEO of Azercell Telecom joined the Caspian Innovation Conference organized by the Ministry of Transportation, Communication and High Technologies in the framework of Bakutel exhibition. This year Caspian Innovation Conference was held for the first time as part of the Bakutel-2018, the 24th Azerbaijan International Telecommunications, Innovations and High Technologies Exhibition and Conference in our country. The conference initiated by the Ministry of Transportation, Communication and High Technologies was devoted to “Digital Connectivity for Sustainable Development” with the view of bridging the digital divide, examining the possibilities of digital connectivity for foreign investment and ensuring business efficiency, has brought together government representatives, industry leaders, officials of regulatory structures and international organizations, including heads of major regional telecommunications and satellite operators. Mr. Vahid Mursaliyev, the CEO of Azercell Telecom LLC, took part as a speaker in the conference aimed to discuss opportunities for effective cooperation between all participants in the ICT sector, as well as challenges in the relevant field. 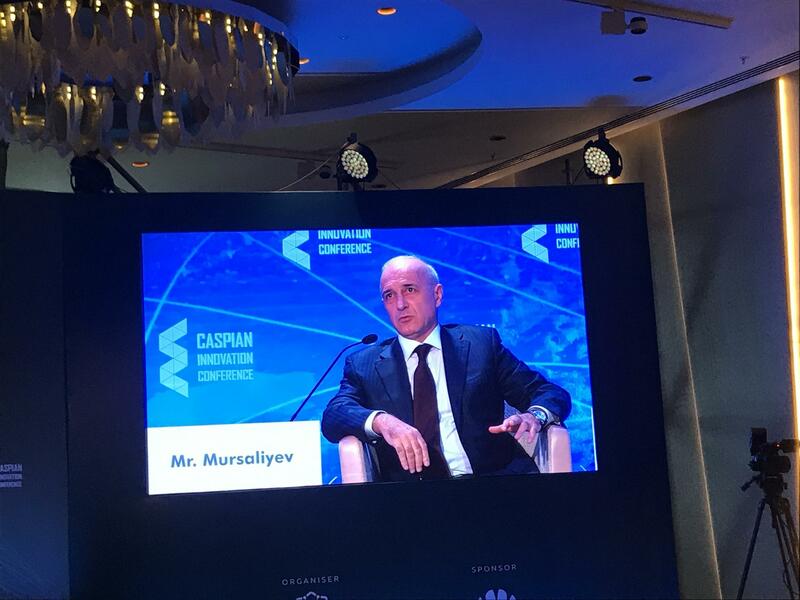 Pointing out the importance of Caspian Innovation Conference which was arranged in the framework of Bakutel, the important technological event in our country, CEO expressed his gratitude to the Ministry of Transportation, Communication and High Technologies, the main organizer of the event. Mr. Vahid Mursaliyev mentioned “Future of broadband mobile internet – 5G and beyond" and informed the participants about the latest achievements of Azercell in LTE network. "Currently, our strategy is aimed at improving the quality of mobile communications everywhere, expanding 4G network in the regions, introducing advanced services and new business solutions, improving subscriber services, providing the market with affordable mobile devices supporting high-speed Internet and so on, which will help our subscribers to make their lives and work easier through mobile technology. I have to note that since the beginning of this year we have made large investments on technology projects and network”, CEO reported. He emphasized the fact that Azercell’s market share has grown by 1%, reaching a total of 49%. The company has become a leader in the number of new customers joining Azercell network and the number of mobile Internet users in the current year. CEO shared his opinions about the perspectives of 5G network with participants. He pointed out that the biggest shift in mobile technology to date is already underway, with infrastructure projects happening across the globe. He noted positive changes which promise a step change in new standard wireless communications – higher bandwidth, faster speeds, easy access to the Internet, greater availability and coverage, higher energy efficiency, and crucially, ultra-low latency, (30 times better than 4G) used for mission-critical M2M and IoT applications. “With data-hungry technologies like virtual reality and extended [EI(1] reality around the corner, networks need to be able to transport a huge amount of data. It is likely that 5G will prevail during a steady roll-out phase, rather than in one big bang. 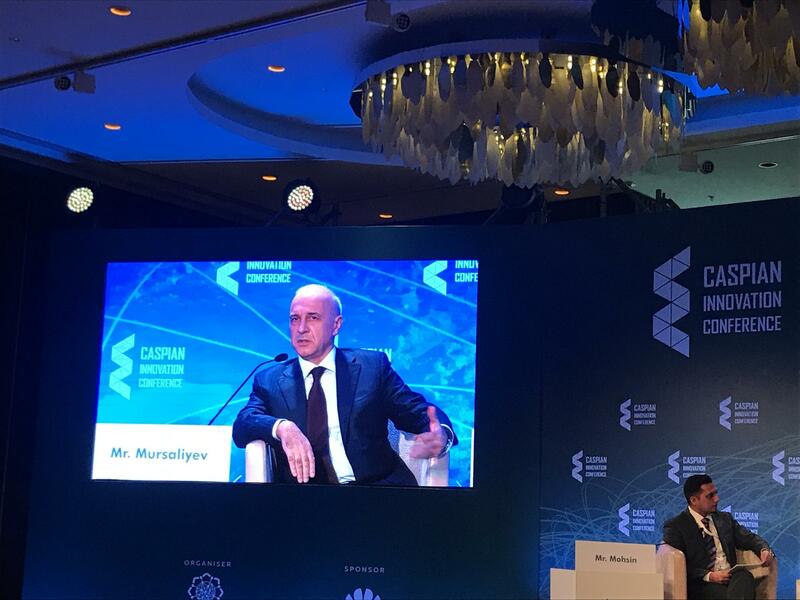 Azercell as an acknowledged trendsetter of the industry in Azerbaijan always keeps finger on the button to deploy technologies of the future”, CEO remarked. Elmir Valizada, Deputy Minister of Transportation, Communication and High Technologies of the Republic of Azerbaijan, Atsuko Okuda, Chief of Information and Communication Technology and Development Section at UN ESCAP, Enriko Albertin, Director of Global Operations for Cisco Country Digitization Acceleration Program, Mehmet Toros, Turk Telecom International Group CEO, Kaan Terzioghlu, CEO of Turkcell LLC, and others joined the event and exchanged opinions on the topic. Remarkably, the topics such as “Broadband Connection”, “Artificial Intelligence”, “Internet of Things”, and “Electronic Services”, “ICT based startups and innovative entrepreneurship”,“ Fourth Industrial Revolution ”, “Knowledge-Based Manufacturing”,“ Cyber-attack preparation” were discussed in the conference. From now on, the Conference is to be traditionally held every year in the framework of Bakutel international exhibition. Currently, 4,5 million subscribers choose Azercell services. Azercell has pioneered an important number of innovations in Azerbaijan, including GSM technology, advance payment system, mobile internet services, Metro coverage, 24/7 call centre service, 7 day/week Front Office service, M2M services, one-stop-shopping approach Azercell Express offices, Online Customer Care and Social Media Customer Care services, Mobile Customer Care office, mobile e-signature service “ASAN Imza” etc. Azercell deployed first 4G – LTE services in Azerbaijan in 2012. According to the results of mobile network quality surveys of Global Wireless Solutions company and international systems specialized in wireless coverage mapping such as “Opensignal” and “Testmy.net”, Azercell’s network demonstrated the best results among the mobile operators of Azerbaijan.